Mike Ullery | Daily Call The Fort Piqua Plaza and Piqua Public Library are decorated for the holiday season. The library has a number of Crhistmas/holiday items on display, including a community Christmas tree display on the second floor. Mike Ullery | Daily Call A collection of Menorahs are among the many holiday items on display at the Piqua Public Library. The Fort Piqua Plaza and Piqua Public Library are decorated for the holiday season. The library has a number of Crhistmas/holiday items on display, including a community Christmas tree display on the second floor. 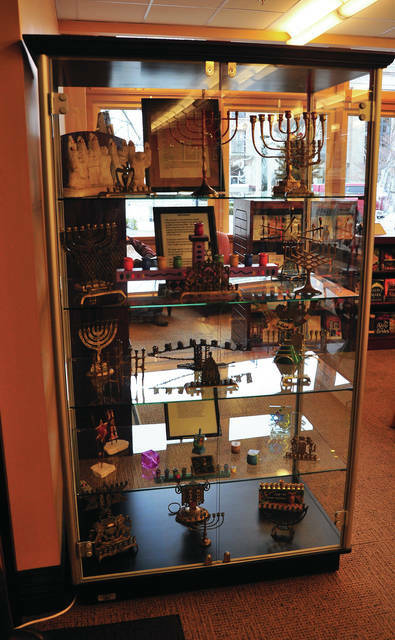 A collection of Menorahs are among the many holiday items on display at the Piqua Public Library. 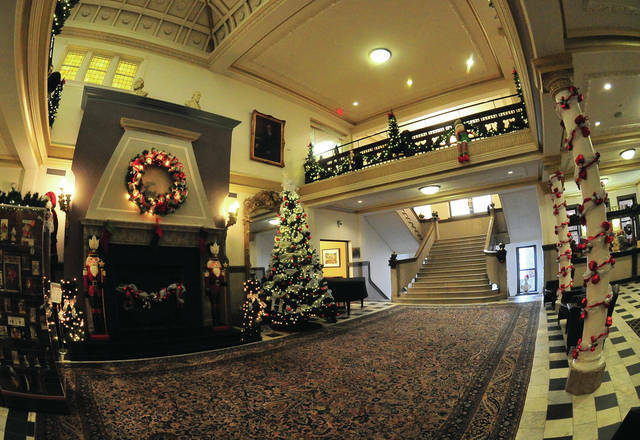 https://www.dailycall.com/wp-content/uploads/sites/30/2018/11/web1_112118mju_library_dressedup.jpgMike Ullery | Daily Call The Fort Piqua Plaza and Piqua Public Library are decorated for the holiday season. The library has a number of Crhistmas/holiday items on display, including a community Christmas tree display on the second floor. https://www.dailycall.com/wp-content/uploads/sites/30/2018/11/web1_112718mju_library_minorah.jpgMike Ullery | Daily Call A collection of Menorahs are among the many holiday items on display at the Piqua Public Library.